One of the most important considerations when buying vacuum cleaners is the brand. It’s always recommended that you pick the popular brands because of the excellent reputation when it comes to performance and service. But what if you are torn in between two popular brands like Miele and Dyson? That’s among the biggest dilemmas of many homeowners when shopping for these cleaners. We’ve already done some reviews challenging Dyson with other household names like Shark, Hoover, and Bissell. Today, we want to introduce another interesting vacuum brand called Miele. To make sure that you get the most out of this review, we compared all the types of vacuums from the two brands. So, whether you are looking for a stick vacuum, canister or upright, this comparison review has got you covered. Before we go to the main review of the models, here are some interesting facts about the two brands. What’s the best choice: Miele or Dyson? What’s the best brand: Miele Or Dyson? Established in 1991, Dyson is arguably the best vacuum brand with exploits in other appliances including fans, humidifiers, dryers, lighting, and so on. The company is known for exemplary innovation and cutting-edge technology. In its early years, the focus was largely on vacuum cleaners with the aim being the realization of a powerful vacuuming system, and today we have a masterpiece in Dyson’s Patented Cyclonic Separation Technology. The founder himself is an inventor and is perhaps the reason for Dyson’s strong emphasis in research and development. Dyson has engaged several top brands in Patent infringement lawsuits, including Hoover and Samsung who they accuse of using their Patented technology. Dyson has held a good chunk of the market share for quite some time now, but unfortunately, several other brands have caught up. It has been so hard to stay afloat in the market that has now been invaded by Chinese manufacturers. Household names like Shark and Miele are also becoming proactive in innovation as well as marketing, a situation that has made Dyson uncomfortable in the market. Just recently, the company head announced that they were shifting to electric cars manufacturing in Singapore. But all the same, Dyson vacuums remain a force to reckon. Miele is a German family-owned company that is in the business of general appliances. Unlike Dyson that owes much of its success and popularity to vacuums, Miele is known for an extensive range of appliances; from cooking appliances to cleaning equipment and so many other stuff. The company was started almost 120 years ago by Carl Miele and Reinhard Zinkann. Unlike Dyson, there is no much hype around Miele because the focus here is on appliances as a whole, unlike Dyson whose main business is centered around vacuums. However, Miele is also a top innovator with a wide range of vacuums; from the stick options to the regular upright vacuums. Miele may not have been so popular out of Germany in the past, but after setting up shop in the United States, the German brand had gone international. Even though it doesn’t control the vacuum market right now, it’s undoubtedly giving the big players a headache. Today, Miele brushes shoulders with the likes of Shark, Bissell, Hoover, and Dyson. The brand is not in the US alone, just recently, Miele ventured into the UAE market where it has witnessed a 200% growth. Now, having looked at both brands, it’s time we get into the business of the day; comparing Dyson and Miele vacuum cleaners. There are different types of vacuums with the two brands Miele and Dyson manufacturing all the types. In this comparison review, we have compared the upright models, canister vacuums and the stick and handheld options. If you want to buy an upright vacuum, there is a section that compares Dyson and Miele upright vacuums. For those who are looking for the canister vacuums., we also have a section for that, as well as another that will handle stick and handheld vacuums. Upright vacuums are the type of vacuums that come in a one-piece design, but often bulkier. Both brands offer upright vacuums in plenty though Miele has slightly more options available. For this review, we decided to choose the most popular models to battle it out. The two vacuums are Dyson Ball Animal 2 vs. Miele 41HAE032USA. Also known as the Dyson DC is is the latest upright vacuum cleaner from Dyson and it deserves the tag as the most potent Dyson right now. One of the advantages of the new Dyson Ball Animal 2 is better suction; it delivers 270 AW whereas the Dyson DC65 offers around 245 AW. However, the high power comes at the expense of your calmness as this vacuum is a little bit louder than the competition. We also like the fact that it comes with a motorized brushroll that agitates dirt on carpets and scrubs stains on hard floors better than air-driven brush rolls. But take care as it might be a little rough on soft carpets like plush. The whole-machine HEPA filtration design complements the two washable pre-motor and post-motor filters in the cyclone’s center and inside the ball respectively. The overall design of the vacuum is suited for cleaning large floors. It has been crafted with a broad 13.4-inch cleaning head to cover more area and a wide 12.75-inch suction area to allow for better vacuuming. To make sure that here is no suction lost, Dyson brought on board an Active Base Plate that prevents suction from escaping away around the head’s perimeter. The bagless design and washable filters mean that maintenance costs are lower. But it’s at the expense of having to clean the mess manually which might expose you to the dirt, and allergens. The Ball Technology makes maneuvering quite easy. You need to move your wrist a little bit, and the vacuum turns effortlessly. There are a few shortcomings of this model. First, on medium and high pile carpet, especially shag, it is quite hard to push the vacuum because of the sagging base as it lacks height adjustment. We tried using it on shag, and I’m afraid, it’s wasn’t among those easy cleaning sessions that you’d long for daily. Another thing, even though the cleaning head fits under most furniture, the ball design makes it hard for the vacuum head to get under furniture. For those with lots of dirt to vacuum, the 0.55 gallons dust cup may be too small. Popularly known as the Dynamic U1 Maverick, this vacuum uses an efficient 1200W vortex dual motor system that operates quietly without compromising power. The vacuum comes with a rotary dial to regulate the suction power you want to use. The brush is motorized, and pretty tough on dirt and stains. Fortunately, it can be switched off if you are worried about your delicate hardwood floor’s luster or the soft carpet plush. While Miele Maverick excels in cleaning hard floors and carpets, it doesn’t come with true HEPA filters. So, in as much as it is a bagged vacuum, you have to upgrade to HEPA filters to get the best allergy protection. With HEPA filters, the performance is unrivaled because it uses a 3-stage filter system. We have a pre-motor filter, post motor filter, and a bag filter. When it comes to design, Miele has broken the record with a broader working radius. Apart from the unusually longer 39-inch power cord, the vacuum tags along an extra 12 ft hose while its telescopic wand extends 3-inches further totaling to an impressive 54 ft. This vacuum comes with the agile SwivelNeck Technology that makes maneuvering a buzz. It can pivot around obstacles 360° and lie flat in all the directions easily. The Maverick has an automatic height adjustment that makes it ideal for all carpet piles; from the thin cut pile to heavy Flokati rugs. We also liked the large 1.35 gallons capacity replacement bags as well as the full bag indicator. On the downside, this vacuum is too heavy at 21 lbs. 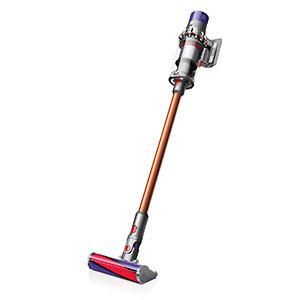 considering other upright vacuums like Shark Navigator and Dyson Ball Animal 2 are much lighter (15 lbs. – 18lbs.). The maintenance costs of this vacuum are also higher now that you need to buy Type U AirClean Bag replacements often. If you are looking for the best upright vacuum from the two brands, the above models should be on your wish list. So, which of them is the best choice? The table below compares the main features that should guide you when shopping for the best upright vacuum. These vacuums are the most common type because homeowners want a heavy-duty vacuum cleaner. 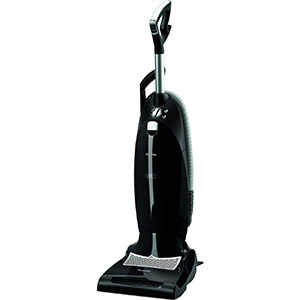 Upright vacuums often come with larger cleaning heads that widen the cleaning width for faster cleaning. While they may be heavier, at least you don’t have to bend your back like when using a canister vacuum or have anything behind you to be dragged. Upright vacuums are not only ideal for hard floors, but they can also be used on carpets. Many upright models like the Maverick have been designed with carpet modes, motorized brushes and adjustable height adjustments which are necessary for carpet cleaning. On average, upright vacuums tend to be cheaper than canisters. Canisters, on the other hand, come in a two-piece design with the main unit at the back and a vacuuming attachment that looks just like a stick vacuum. Dyson and Miele also manufacture some top of the range canister vacuums. Miele has notably more canister models than Dyson. However, for our comparison review, we will dwell on two popular models; Miele Complete C3 Calima Canister Vacuum and Dyson Big Ball Multi floor. The Complete may not be the best vacuum in the Miele series, but it offers the best value for money. The vacuum has been designed to clean hard floors and low to medium pile carpets. It comes with a Parquet Twister Floorhead (SBB 300-3) for the delicate floors like hardwood and a Turbo Comfort Floorhead (STB 205-3) for soft carpets and low pile. When it comes to power, Miele Complete Calima boasts a Vortex Motor System. This is a very efficient and quiet 1200W motor that’s designed to offer optimum performance and durability and comes with a 7 years warranty. The vacuum also has six-speed settings, including an Eco-mode for light and quiet vacuuming and a high power mode for the long pile. 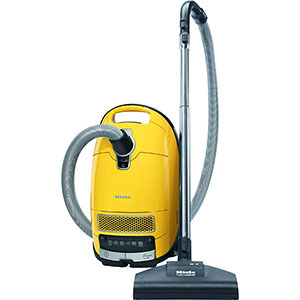 Miele bagged vacuum comes with a sealed design that doesn’t allow allergens back to the atmosphere. It also has a 3-stage HEPA filtration system with a pre-motor, post motor and a filter bag making it best for allergy sufferers and pet owners. To further enhance air filtration, you can also use the Miele Active AirClean Filter (bought separately) which is more efficient. We also liked the maneuverability of the vacuum courtesy of the lightweight 11lbs. Canister designed with three 360° swivel casters that glide smoothly on hard floors. One of the downsides of Miele Calima is the recurring bag replacement costs, but at least the 1.2-gallon capacity will hold more dirt. Another flaw is that the power cord is not what you’d expect from such a high-end vacuum. While most websites market it as a 36 ft radius vacuum, it has a 24-inch radius. It’s also not efficient on the medium pile, and high pile as promised reason being the brush is air driven. Unlike a motorized brush, it doesn’t pick dirt well on long pile though it may be useful on the delicate carpets like soft plush, leather shag, and acrylic. I also wish the on/off button would have been on the handle, but you have to go back to the canister. 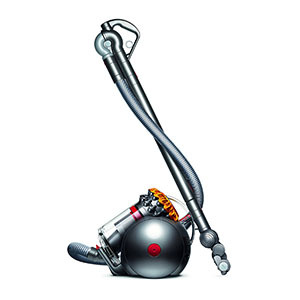 Dyson Big Ball is big in performance, especially the vacuum power. It combines a powerful and efficient motor with the 2 Tier Radial cyclone which delivers up to 250AW. The vacuum is ideal for all types of hard floors, including delicate hard floors as well as low to medium pile carpets. It comes with a self-adjusting head although the brush tool is air-driven. The filtration is HEPA and features a glass filled washable filter meaning you don’t have to worry about bag replacement costs. The dust cup has a 0.5 gallons capacity and offers easy bin emptying, unlike most bagless vacuums. The easy DIRT EJECTOR enables you to empty the dirt without touching any mess unless the allergens that may obviously escape. This vacuum comes with an impressive reach courtesy of the 21 ft. power cord and a telescopic wand with 360° articulation that extends the cleaning radius to 35 ft. which is impressive for a canister vacuum. Unfortunately, the Dyson Big Ball is a bit loud than we expected. The design is very appealing but the injection molded plastic Dyson used is of low quality. We also hoped that the Self Righting Technology would help keep the canister stable, but it kept toppling. Lastly, the ball design curtails it from going under furniture even though the head design would allow. The Dyson and Miele battle is an epic one, and one of the highlights is the fact that Dyson is a bagless vacuum while Miele C3 is a bagged vacuum. It’s also an epic war between an expensive high-end vacuum (Miele) that costs well over $500 vs. a reliable and affordable Dyson Big Ball that costs under $400. The main advantage of canister vacuums is the compact and lightweight design. They come with a canister that has the motor and bag which you pull as you vacuum with the handheld. While it’s generally assumed that upright vacuums are more powerful because of their bigger size, canisters are much powerful. Canisters offer better suction and flow rate which are fundamental dynamics. The maneuverability of canisters is also better as they can reach the tight spots and vacuum even the stairs. One of the major problems with canisters is the fact that you have to drag the canister. On carpets, and multi-floors, pulling the canister becomes a tedious exercise. Also, the fact that you have to bend makes them unsuitable for homeowners with back problems, as well as the senior citizens. As the name suggests, these are very compact and slender vacuums that look like the canister vacuum front attachment. Both vacuums also offer options in this category but Miele’s stick vacuums product like has only one model so far whereas Dyson has several models in the popular Dyson V series. When it comes to stick vacuum wars, two models feature here; Miele Swing H1 Quick Step vs. Dyson V10. Miele Quick Step stick vacuum is a new model same as Dyson V10. The V10 is the latest model in the Dyson V series cordless vacuums. It is available in three packages; Absolute, Animal, and Motorhead. The Absolute version is the best option as it comes with the most accessories. We like the futuristic design of the V10. At 5.88 lbs. it is among the best vacuums regarding maneuverability. Besides the minimalist design, the Dyson V10 is cordless so you won’t have to worry about tangling or the length of power cords. Instead of a power cord, it packs a rechargeable lithium-ion battery that lasts depending on the mode. In low power, it did 40 minutes, 21 minutes in mid power and 8 minutes in max mode. You can use the Dyson Absolute on floors, low to medium pile carpet, and even on the walls. You can also detach the wand and use it as a handheld vacuum. When it comes to performance, Dyson Absolute packs the all-new Dyson Cyclone Digital V10 motor that has three power settings. The low power setting yields 15.8 Air Watts and is ideal for light vacuuming. It may not be as powerful in this mode, but the advantage is that it’s quiet. 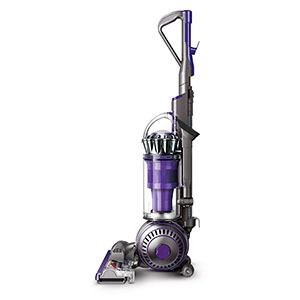 The medium mode delivers 33.8 Air Watts while in Max mode, the Dyson V10 hits 151 Air Watts. An interesting design is the linearity of the motor and dustbin than ensures steady, direct suction through the bin. 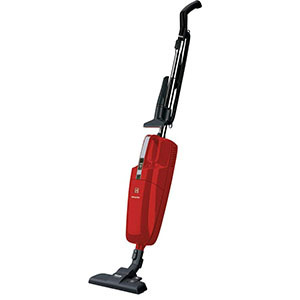 The high vacuum power combines well with either cleaning heads; there’s one for hard floors and another for carpets. The vacuum is bagless and comes with a ‘Point and shoot’ bin for easy and hygienic bin emptying. We didn’t find any serious shortcomings with the Dyson V10 except for the fact that it limits usage because of the long recharge times. But that’s something you should be able to sacrifice if you want the convenience of a cordless stick vacuum. Unlike Dyson V10, this is a corded stick vacuum which means you still rely on the power from the mains. So, if you don’t want to waste a lot of time waiting for your stick vacuum to recharge, the Miele corded stick vacuum is right for you. It comes with a 26 ft. cord and packs the powerful Miele Vortex 1,000W motor that delivers excellent suction in two power settings; low and high. Alongside the high vacuum power, the Miele Air Clean HEPA filters ensure that all allergens captured don’t get back to the atmosphere. Among the unique offerings of the Miele Swing H1 is the option of using a motorized cleaning head for carpets and a non-motorized head for delicate floors. One of the advantages of this vacuum’s design is the large 2.5L dust bin capacity. We also liked the smaller cleaning head design that enables it to go under most furniture swiftly. Just like most stick vacuums, it is equipped with a crevice tool and an upholstery tool that come in handy in the handheld mode. The strong construction and ABS finish offers the best durability compared to the cheap injection molded plastic Dyson uses. We were impressed by the 11.25-inch cleaning path that meant you could cover more floor area. You will also like the ergonomic handle that makes maneuvering effortless as well as an antislip stopper for user safety. One of the shortcomings of Miele is the rather bulky design, weighing 9.7 lbs. which is almost twice the weight of an average cordless stick vacuum like Dyson V8 or V10. It is quite heavy and in fact, cleaning the stairs and high places is not possible. The vacuum is also short and would require you to bend at times. It stands at 22 inches while other stick vacuums are well over 40 inches. 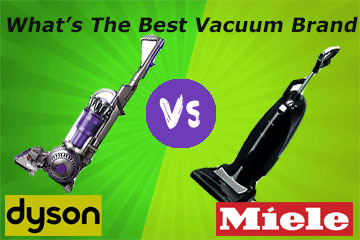 The battle between Dyson and Miele in the stick vacuums category is all about cordless vs. corded stick vacuums. If you want a compact, and light stick vacuum that you can also use on the stairs and just anywhere regardless of the mains socket, then get a cordless vacuum, that is Dyson. On the other hand, Miele offers uninterrupted service as you don’t need to recharge it. It also has a wider cleaning path and larger bin capacity. For those who are looking for a lightweight vacuum that can fit in those tight and awkward spaces, a stick vacuum should be your priority. But as you have seen from the above models, there’s also the challenge of choosing between a stick corded vacuum and a stick cordless vacuum. When it comes to power, they are not as powerful as canisters and uprights, but some models like the Dyson V10 can hit over 150 Air Watts. The talk of the town when it comes to floor cleaning is robot vacuums. The main difference between these vacuums and the regular type is that robot vacuums are autonomous in operation. You don’t have to be at home for the floor to be cleaner or carpet vacuumed. The little helper will handle floor cleaning independently, and in fact, they can be scheduled to clean the entire week. 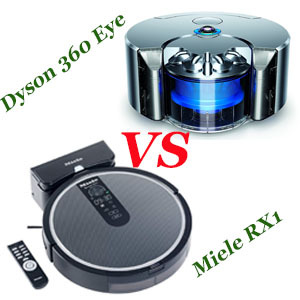 Both Miele and Dyson are active players in the robot vacuums market. Miele may not be so dominant like Dyson obviously because the former has a wider range of product line while Dyson purely concentrates on vacuums. Their revolutionary Dyson 360 Eye was a gamechanger with super suction and remarkably, real-time cameras for enhanced navigation. One interesting thing about the robot vacuums category is that Miele offers some cheap options like Miele RX1 while Dyson’s flagship model, the Dyson 360 Eye costs almost $1000. Dyson passes as the best brand according to popularity metrics. However, the matter regarding the best vacuum brand has always been debatable. What may pass as the best brand for me might not be the best brand to you. There are so many subjective parameters that may influence brand popularity; from the performance to personal taste and preference. From an expert’s perspective, there is no such thing as the best vacuum brand. This is because we consider the functionality of each type of vacuum and model and how it meets the demands of the different homeowners. 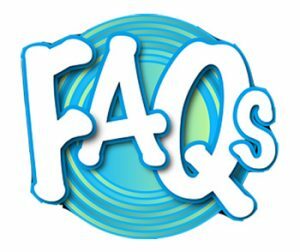 One of the significant things you should consider is the type of vacuum and what it has been designed for. You will agree with me that not just any Dyson or Miele vacuum will vacuum carpets. In the same token, different Miele and Dyson vacuums have different specifications. With that in mind, it can be very inconclusive to say that one model is better than the other without addressing all these aspects. One thing you will realize, each brand excels in specific areas, so the most important thing is to go for what suits your needs and not what ‘s considered popular. 1. Where are Dyson and Miele’s vacuums manufactured? With the influx of cheap Chinese vacuums in the market, a lot of people are concerned where Miele and Dyson’s vacuums are manufactured. Miele vacuums are manufactured in Germany, end of story. However, for Dyson, we’ve seen the company set its design, research and development departments in the UK while manufacturing is done in Malaysia to cut the high production costs in Britain. 2. What’s the best vacuum for hardwood floors? Both Dyson and Miele have great vacuums for hardwood floors. The most important feature here is a soft brush that won’t scratch the fragile wood. You have the option of getting an upright vacuum or a canister as both can handle hardwood floors very well. 3. Which is the best vacuum for carpets? Just like hardwood floors, carpets also require a specific brush to agitate the dirt from the carpet fabric without damaging the carpet. It’s best to go for a vacuum with a motorized brush as opposed to the air-driven cleaning heads. Canisters and uprights both offer vacuums with motorized brushes. 4. Which is the best vacuum for home? If you want a general household cleaner, there are two options; upright vacuums and canisters. Stick and handhelds are not ideal because of the heavy-duty cleaning needs. I recommend you look for a vacuum with a high vacuum power, and most importantly, versatile cleaning heads. You want a brush for hard floors and a separate one for carpets. Some advanced models offer the option of using a motorized and non-motorized brush. This would be the best for all home use as you can adjust it depending on your needs. How to get Grease out of Carpet?